I’ve read a lot of good things about Nicoletti - I’ll be ordering some just after Christmas. I’ve finished up a batch of blue bottle hays valley, which remains a good standard for me to measure a home-espresso against. Very forgiving, creamy, and smooth. 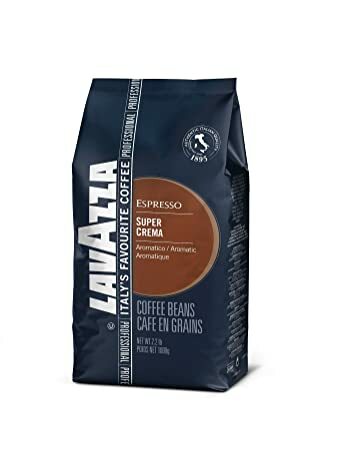 I haven’t tried Lavazza yet. I’ll be interested to hear what you think. I can recommend Kimbo Superior. I was pleasantly surprised. I’m back on Malabar Gold after a stint with Vivace Dolce. Oh and BB Hayes Valley is a great one! I buy locally frsh roasted beans direct from the many roasters near me. For espresso I use a Faema Faemina lever machine. Can’t post pictures from IPad unfortunately. (12-31-2018, 12:46 PM)Red Rider Wrote: I buy locally frsh roasted beans direct from the many roasters near me. Robert, your beautiful Faemina(s) need to be seen! From your iPad, hold the “circle arrow” in your browser and it will bring up the option to go to Desktop Site and you will have full functionality. BTW, still digging my Caravel. You did awesome work on that one, thank you!